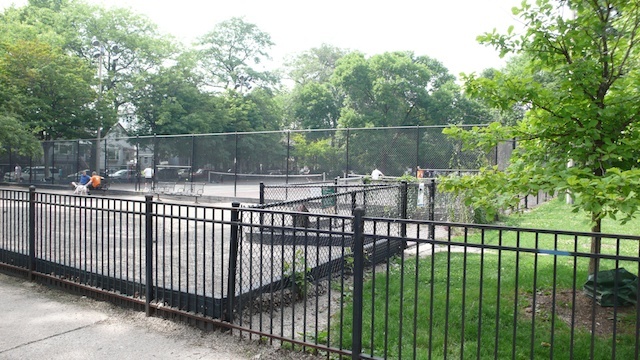 The dog park wraps around two sides of the tennis courts at the southwest corner of the park. The park has running water. Water use is controlled by regulars at the park, so that it’s not left on.